My recent visit to The Grady Alexis Gallery located in El Taller Latino, was to see the exhibit " Dos Generaciones: Mexico & New York." El Taller is a cultural center located on 104th street and Broadway in Manhattan. 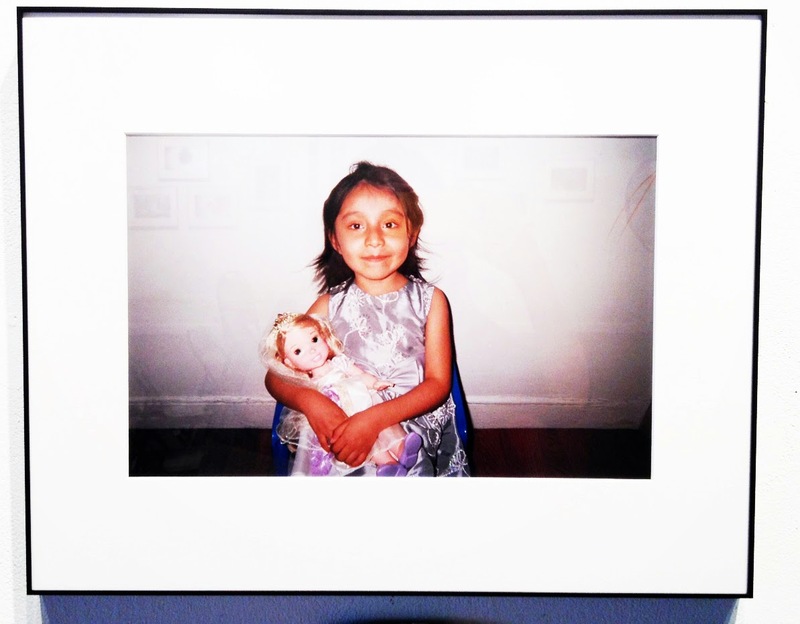 The exhibit displays a photographs that were made in collaboration between parents and their children. Their objective was to document to say anything that was interesting or important in their lives with photography. There are four groups of parent and child teams represented in the show. This exhibit is very empowering to the participants and the viewer. The participants were able to express their ideas and feelings to each other and to their audience in a way that may or may not ever have considered. The viewer is exposed to a new window into a community they may not be familiar with. Andrea Arroyo is the curator and she presents this exhibit in collaboration with the group Mano A Mano: Culture Without Borders. The subject matter varies as does the level of execution but the editing is strong and surely the best work is shown in a respectful way. The short bios of the family members are also interesting to read. All of parents in the creative teams are immigrants from Mexico and the children are born in the U.S. I enjoyed the show enough to go twice and I plan to bring my daughter up to the Taller to see the show too. I hope that she will get inspired to do the same project with me this summer. The show is up until July 16th and I do hope they will extend it! El Taller Latino has been long been a beehive of cultural events and performances on the Upper West Side. It has hosted musical greats such as Pete Seeger and Philip Glass and The Beastie Boys to name just a few. The Taller has also been of service to it's community as a Spanish language eduction center and a promoter of Latino culture enrichment programs for children and adults. The honey from El Taller Latino has never stopped flowing but it looks like it will be in another location soon. Bernardo Palombo the gallery owner and founder of the non profit El Taller Latino. Mr. Palombo told me that the center will be closing in October of this year due to an exorbitant rent hike. Their $8,000 a month rent will quadruple and leave them no choice but to turn of the lights. I am saddened to hear this as will many many Upper West Siders, New Yorkers and World Wide fans. Miraculously they have found a spot on the east side with ART SPACE PS109 http://www.artspace.org/. The east side gains a beautiful and bountiful cultural center with very spirit centered leaders at it's core.